· A roleplayer who does not use an vivid words whatsoever; has lots of run on sentences, bad grammar, cannot give the reader a good image of what in the world they are talking about. · A roleplayer who has a good sense of what it is they want to say, yet too much vocabulary that is not understandable and unnecessary marks are used to make them look good. I'm not ranking myself better then anyone when it comes to roleplaying, because no one is perfect, but there are a large amount of people who do not try to make their roleplaying efforts any better, or make mistakes that they do not know should be corrected. This often gives most roleplayers a bad name, which I have come to defend, by giving you my advice. There are four basic things you should make sure you are using correctly when you roleplay in Neopia. If you do so, a lot of people should consider you a very good roleplayer and hopefully will roleplay with you more often. Let's watch out for sentence structure, creativity, separation of dialogue and actions, and unique topics. My concerns in this article do not apply for anyone that is at an age where they are not fully "aware" of mistakes they may be making while in a roleplay. Before I give my opinion on the four elements I think are necessary for roleplaying, here are a few abbreviations you might want to learn if you are new to this unique art found in (and out) of Neopia. Many people use these abbreviations so it is best that you know exactly what they mean. 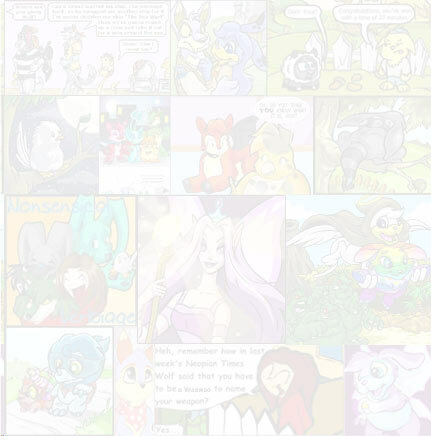 Sentence structure is an important element in ANY kind of roleplaying, in and out of Neopets. After you have typed up your few sentences of roleplaying, try to go back and proof-read it to make sure it makes sense. If you use a sentence that goes something like, "a little Krawk crawls allover the floor with a piece of food in his mouth looking for friends and hungry even though he is eating food that his owner gave him and lucky to be a rare krawk" then you seriously need to go back, separate your work into readable sentences, and make sure that you use correct grammar. Roleplaying is supposed to be fun, and it isn't enjoyable at all when you are roleplaying with someone where you have to squint at his or her post for five minutes to figure out what it is they're actually saying. If you go back and correct yourself for a while before posting, you should have a bit better results. Here's a corrected example of a bad post gone a bit better, "A little Krawk crawls all over the floor. There is a piece of food in his mouth as he searches for anyone around that could be his friend. He considers himself lucky for being a rare Krawk, but still wishes to meet more Neopets - in and out of his species." We all tend to make mistakes sometimes, and if you do happen to make a mistake, you can go back and correct yourself in a separate post. It's okay for you to do that, and it helps everyone know that you made a mistake and tells him or her what you actually meant. If you'd like to be able to tell the difference between a good roleplay and a not so good one, hang around the Roleplaying, Other Worlds, or Fan Clubs chat rooms. There is a bountiful amount of roleplays made in those three boards that you can watch to help develop your own skills. Also, don't be afraid to ask others of their opinion of what your roleplaying is like - just make sure you are able to accept honest criticism to help build yourself off of. Creativity is an element of roleplaying that some people abuse and do not use at all. I think the #1 rule of roleplaying is to be creative. Using a plain sentence such as "Bobby walked down the stairs." Is plain BORING. Spice it up. Use a thesaurus to learn new vocabulary, toss in a vivid word or two to help paint a good image of what is going on towards the reader. "Bobby blithely sprinted down the staircase, his feathers messily laid upon his back" gives a very good image of what is going on in the RP. You don't have to be an experienced master to be a good roleplayer. Have fun with your character's actions; ask for help if you are unsure of what to do to make your work better. Practice makes perfect. If you plan on roleplaying often, make sure you use a good font. Small font is nice if you'd like to have a neat looking paragraph. If you like using larger font to make yourself noticeable, go for it. Glowing text is not always the best for roleplaying as sometimes your paragraphs can become long and unreadable. Decide which font type you think will be best for the genre of roleplaying you will be doing. If you'd like, you can also separate your actions further from your dialogue by using special characters. -Bill walks in- "Hi, how are you?" -He is very tall and looking for a new friend- "Boy, I'm tired." This gives the reader / person you're roleplaying with an easier time depicting the actions from the dialogue. If everyone did this, trust me, roleplaying would be so much easier to live with. Unfortunately, we cannot force everyone to do so. The only person you can change is yourself, so just try to make sure you have some kind of separation between your dialogue and actions. We should all try to develop unique topics to make our roleplaying more interesting and favorable. 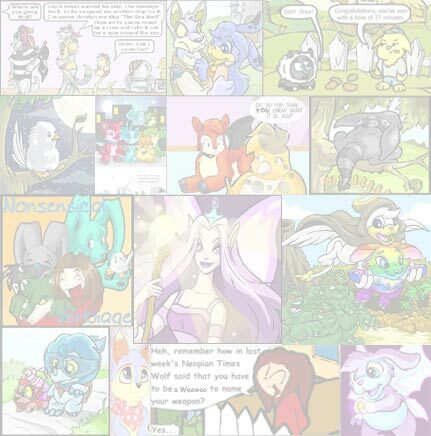 Here are a few examples of roleplaying boards you should not make, because there are already hundreds of them as it is. Some people won't even enter your board if it is one of these, or something similar to it. I'm not calling you bad for making these, but my point is: try and make something more original. · A painted pup sits in a soggy box (painted) and crying wishing for a mother. · A species (most commonly a Lupe) sits on a cliff looking for a mate. · A species "cries", longing for a "BF" or "GF"
· Any type of "high schools" that might have to do with females and males associating with each other, dating, or boyfriends and girlfriends holding hands in the hallways, or dances following afterwards. · Cruises, parties, or any type of event that may lead to any "romance" on AIM, MSN, or any other kind of messenger. Get the general idea? Once again, try to come up with a unique setting or event. For an example, a "Scooter Racing" board or even a "Uni Parlor" would probably lure more visitors in opposition to a "Lupe Cruise on AIM". Originality can make a very good, enjoyable roleplay. You may find that more people will come to your RP if the idea is unused and exciting. Hopefully my opinion on the four things I think make a good roleplay will help everyone who has had experience with roleplaying or who is just beginning. The most important rule of roleplaying, in conclusion to all of this rambling, is to HAVE FUN. Darigan: The Next Evil Threat to the Free Neopian World?